In 1953, after completing a couple of years of college at Brigham Young University (BYU) in Provo, Utah, Wilson traveled to Finland as a missionary for The Church of Jesus Christ of Latter-day Saints (the Mormon Church). He is very much at home in Finland and has come to admire the Finns and their language and culture, partly due to his wife of many years, the former Hannele Blomqvist, whom he met while serving his mission. Wilson had decided to major in English; his goal was to obtain a teaching certificate and eventually teach high school, but once he completed his bachelor’s degree, he decided to go on and obtain a master’s from BYU while teaching English at Bountiful High School. Once he finished his master's degree in 1962, his colleague Robert Blair, a professor of linguistics and also a former missionary in Finland, encouraged Wilson to go to Indiana University (ill) because it had a first-rate Uralic Studies and Folklore Program. Wilson wasn’t particularly enthusiastic about studying folklore, but he thought that it would help him better understand The Kalevala and Finnish literature, and that ill would provide him with the best programs in both disciplines. 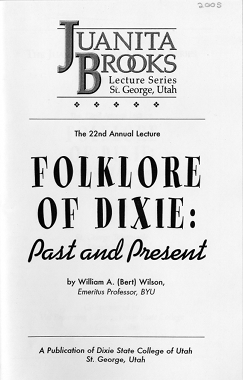 The impact of Wilson’s contributions to the development of folkloristics in Utah is still being felt. He has been a tireless crusader in making people in Utah see folklore as a legitimate discipline and field of study, not only in the academy but also in his presentations and discussions with ordinary people. In doing so, Wilson has helped the people of Utah become aware of their living state treasures, the numerous folk artists and performers living in their own backyards. He has been a program builder at both BYU and USU, with the consistent goal of creating programs that would outlast him. The importance of Wilson’s scholarship and leadership in the development of Mormon folklore studies in the United States, and his contributions to European and Finnish Studies both in the United States and Finland, have been recognized with over thirty fellowships and honors, including the Arrington Award; the Paredes Prize; the Charles Redd Award from the Utah Academy of Sciences, Arts, and Letters; the Aimo Turunen Medal from the Kalevala Society of Finland; and the Utah Governor’s Award in the Arts. 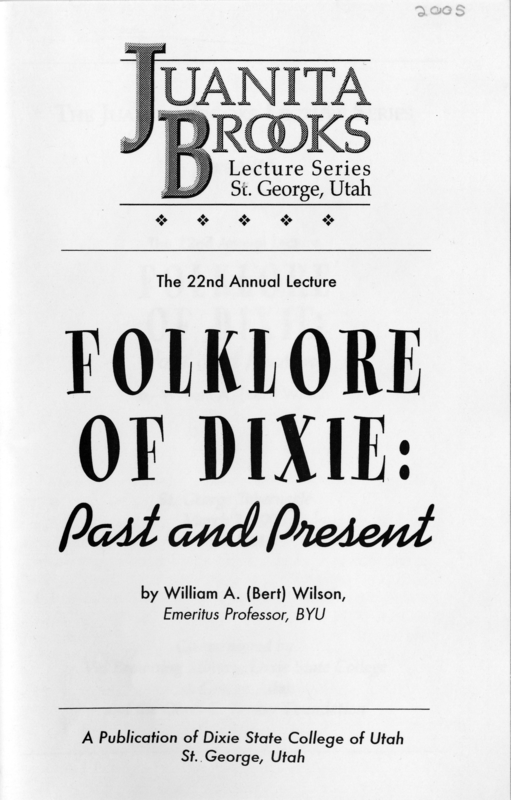 In 2003, the folklore archive at BYU was renamed the William A. Wilson Folklore Archive. It is quite a frightening experience to stand at this pulpit where most of the presidents of the LDS Church have spoken. I get the feeling that if I say anything I shouldn’t, one of them will materialize out of this pulpit and strike me down. Frightening experience though it may be, it is nonetheless a privilege to stand here and deliver a lecture in honor of that great historian and great human being, Juanita Brooks. One evening toward the end of Juanita’s career I was putting around my Provo neighborhood on my Honda 90 motorcycle. An automobile pulled next to me and the driver asked directions to a particular address. I looked at the occupants of the vehicle and immediately recognized one of them as Juanita—she was on her way to speak to a small gathering at an evening fireside. Because my face was obscured by the dark and by my motorcycle helmet, Juanita had no idea who I was. I said, “Follow me and I’ll take you there,” and I putted off down the road to the home they were seeking. They all thanked me, and I replied, “Just one of your friendly Nephites guiding you to your destination,” and then turned and putted off into the night. I knew Juanita would immediately recognize my reference to the Three Nephites, those ancient American disciples of Christ who had been allowed to “tarry in the flesh” until the Savior’s return to testify of Christ and to help people in distress. I knew she would also recognize that in many stories circulating about appearances of the Three Nephites one of the old disciples frequently guided lost people to their destination, just as I had guided Juanita and her friends to their destination that evening. That was the last time I ever saw her. As Juanita recited these beliefs, some of the sophisticates in the audience snickered at the thought of people naive enough to practice such foolishness. Juanita did not laugh. In fact, as she read further into her paper, she struggled to keep back the tears as she returned in memory to her own youth and to the time in the remote Dixie settlements when travel was by horse and wagon over rough roads, when most babies were delivered by neighborhood midwives, and when in times of medical need of any kind the settlers had to rely on their own devices, on traditional remedies passed down from generation to generation by their forebears. As I listened to Juanita’s quavering voice and perceived the depth of her feelings as she remembered the trials of her Dixie ancestors, I recognized what I had always known but had never so fully comprehended—that items of folklore are not just pleasant bits of local color useful primarily to while away our idle moments but are instead human responses to our deeply felt human needs crucial to our understanding of our fellow beings. Folk medicinal practices were certainly not the only forms of folklore employed by the Dixie settlers. Unfortunately there were no folklorists around during Dixie’s pioneer years, so most of its lore remained uncollected and has to be abstracted from diaries like that of Charles Lowell Walker, from personal memoirs like Juanita Brooks’ Quicksand and Cactus: A Memoir of the Southern Utah Mormon Frontier, from collections assembled by the U.S. Work Progress Administration Federal Writers’ Project and Historical Records Survey, and from literary works like Maureen Whipple's monumental The Giant Joshua, which incorporates into the novel’s plot a rich store of Dixie traditions. These traditions, like traditions elsewhere, fall into three broad categories: first, verbal lore, things people make with words (from rhymes like the one recited by St. George children—“Oh, Lord of love, come down from above, and pity us poor scholars; We hired a fool to teach our school, and paid him forty dollars”2—to songs and stories of courageous grandparents struggling to establish themselves among the harsh red hills of Dixie, to contemporary accounts of God’s providential hand guiding “the affairs of the saints,” to humorous tales that caricature Mormon foibles and ease the pressures of “being in the world but not of it”); second, material lore, things people make with their hands (from traditional objects like Mormon hay derricks, horse hair hackamores, and rip-gut fences to home-made “quiet books” designed to keep small children constructively occupied in church, to home preserves and special holiday foods, to decorative scrap books, to temple quilts given young couples on their marriages); and, third, customary lore, things people make with their actions (from pioneer dances to “creative dating” practices of contemporary youth, from quilting bees to special family celebrations of birth and baptismal dates, to family genealogical meetings, to church and community celebrations of traditional holidays such as Thanksgiving, Christmas, and Pioneer Day). To understand any group of people, from Dixie or anywhere else, we neglect their folklore at our peril. All people tell stories about events that interest them most, create objects that serve useful functions or appeal to their sense of beauty, and participate in customary practices that are most important to them. Before illustrating this thesis with examples of Dixie folklore, experience tells me I must make a few comments about the nature of folklore in general. Did the tellers of these stories lie? Of course not. What we are dealing with is a migratory legend that travels from place to place throughout the church, is attached to different wards, and is adapted to fit local circumstances. Could it be true? Of course. Many legends spring from historical circumstances before they begin their journey through time and space. In the rural ward where I grew up, we had an abundance of church sleepers and an adequate supply of young wags who might very well have come up with such a scheme. It could have happened, then, but certainly not in all the places where it has been reported. We call such stories folklore because they are passed from person to person and place to place by the spoken word rather than by the written page or formal instruction. The same is true of material objects and customary practices, which we learn by observation and imitation. A young girl watches her mother piece a quilt and eventually under the mother’s tutelage creates her own quilt, or a young boy watches older boys on the school grounds play marbles and soon learns to play his own game. As soon as people lose interest in a story or in making a certain object or in participating in a customary practice, these will cease to exist. Thus, folklore serves as an excellent barometer of what is important to a particular group at a particular time and can help us gauge shifting attitudes and values. Second, folklore is not something that belongs to someone else. It belongs to all of us. If you want to know who the folk are (the people who transmit the lore), go home and look in the mirror. Most of us are storytellers. We talk about our jobs, our hobbies, our successes and failures, our courtships and marriages, our children and our religious beliefs and experiences. We do so because in order to communicate effectively to others what is in our hearts and minds, we must make the abstract concrete—we must transform experience and belief into narrative. Similarly, from the time we get up in the morning until we go to bed at night, most of us participate in many of our activities in customary ways. Folklore has not disappeared. There is as much lore around as there ever was. We understand today that folklore continues to come into being the way it always has—by individuals responding creatively to the circumstances of their lives and by generating in the process a body of lore that reflects their view of the world and helps them cope with that world. As circumstances change, some lore will disappear, but new lore will take its place. Among Mormons, folklore certainly is not diminishing. So long as we continue to believe that God is a personal God who takes a personal interest in our affairs, we will continue telling stories, based on our experiences or those around us, that testify to the validity of that belief. Once I lived in Cottonwood and owned a little farm. When I was called to Dixie it did me much alarm. To hoe the cane and cotton I right away must go. The reason why they called on me, I’m sure I do not know. For the rocks and sand of Dixie kept rolling through my mind. I could get no one to mend it, for I was twenty miles from town. I cut a clumsy cedar and made an awkward slide. My wagon was so heavy that Betsy couldn’t ride. For the red hills of November were just the same in May. ’Tis seven weeks next Sunday since I have tasted bread. But I’d rather change my diet now to buckwheat cake and meat. I’ve had the chills and fever till I’m nearly shook to death. But I’d rather have some roasting ears to stay at home and cook. My wagon went for sorghum seed to make a little bread. Now there’s no one but me and Betsy left to hoe the cotton tree. When first the Mormons found it. And Indians prowl’d around it. T’was said the land it was no good. Was enough to make one shudder. Grew a mile apart in distance. To pick up their subsistence. ’Tis just because it is, sir. And hold it till it grows, sir. One evidence of beauty could she see. Cease weeping, and be glad the whole day long. Into his home, and bitter tears would cease. In all these many, many miles around. Candles had to be made to supply light, as coal oil was not then known, at least in the frontier settlements. Every family considered it a part of household equipment to have a set of candle-molds... The candlewick was cut in the required lengths and after being doubled and twisted slightly, it was dropped through the mold, which tapered to a small hole at the bottom. A round stick was slipped through the row of loops at the top, and the other ends drawn tight at the small hole, then tied in a knot. After the mold was filled with wicks, melted tallow was poured in the top until it was full. After cooling, the knots at the bottom were cut off, and the candles drawn out by means of the loops over the sticks. It is easy to laugh at such medicinal practices, as did some members of the audience at Juanita Brooks’ USU lecture on midwives. But then if our children get infection, we can take them to the doctor for a shot of penicillin, after first getting a strep test, if they have sore throats; we can get them stitched up when they cut themselves or get their limbs mended when they fall and injure themselves; we can get them inoculated against whooping cough and other communicable diseases. The people living on the Dixie frontier had no such recourse. When we think of loving mothers and fathers struggling to keep themselves and their children alive and turning desperately to traditional remedies for help, our smiles turn to tears. In telling stories of the Three Nephites the Dixie pioneers found comfort in the knowledge that help was available if they would only live righteously. More important, the stories helped persuade the people that God was aware of them, that he knew of their hardships and trials, and that he would not abandon the Dixie Mission. With no telephones, no radios, no television sets to distract them and no automobiles to carry them away, the settlers and their families gathered around the fireplace to tell and listen to a wide variety of stories. Just as we tell stories today of our pioneer ancestors to strengthen our faith and bolster our resolve to face our own difficulties courageously, the Dixie-ites told stories of events in the church preceding the Saints’ arrival in Salt Lake to shore up their faith and encourage them to meet the difficult challenges they faced every day. In a description of a 24th of July celebration, Charles Walker wrote in his diary: “Brother [Erastus] Snow gave us an interesting narrative of the journeyings of the saints from Nauvoo to Winter Quarters and from there to G[reat] S[alt] L[ake].”35 At such gatherings, they heard again the stirring tales of Clay County, of Haun’s Mill, of Nauvoo, of Winter Quarters, and of the trek west. One day when the women in the Relief Society up to Kanab got together sewing and having a quilting bee, they decided among themselves that too many of their men were going down imbibing at this Roll Away Saloon. So they organized a posse to go and burn the thing down. And their plans were all kept a secret from their husbands, of course. So when the men all went out on the range or out in the fields,...the women saddled up their horses, a lot of them rode, and some of them took their white-tops, and they headed for this saloon. Just fortunately for the saloon keeper, there’s a little raise of land to the north about a quarter mile from the saloon, and on the south side there’s also a little incline up to a little ridge there, what we call Halfway Hill. And sure enough, this saloon keeper saw the dust coming from these women on horseback and these four or five white-tops as they came over the rise. And he got the crowbar and rolled the saloon into Arizona. The women got down there and were all ready to light their torches; they had their bundles all ready, when the saloon keeper said, ‘You can’t touch this business; it’s in Arizona. We don’t belong to Utah at all. There’s the line”... So they had a little confab, then said to the saloon keeper, “Well, if you sell our men any more liquor, we’ll get you next time.” So they went back home all disgusted that they couldn’t go over into Arizona and wreck that place, and went back to their quilting. The rollers are probably gone by now, if they ever existed, and so is the way of life that I have been depicting here. Up to the middle of the twentieth century, the people who settled Dixie were a pretty cohesive social group, the kind in which folklore thrives. The population of Washington County in 1960 was 10,271, most of them descendants of the original pioneers. Now, according to the governor’s office of Demographic and Economic Analysis the population in 2004 was estimated at 117,316. From 1990 to 2000, the population of St. George grew by 21,161 people, a 74.2 percentage increase. Hurricane’s population during the same ten-year period increased by 110.7 percent and Washington’s by 95 percent. The large families of eight to fifteen children who with their parents once gathered around the fireplace to mend clothing and equipment, play games, sing songs, and tell stories have been replaced by families with an average size of 2.97 people. These items bridge past and present. But what we must do if we want to understand the lore of St. George today—and more important, to understand the people who possess the lore and the use they make of it—is to ask ourselves what kinds of cohesive groups have formed in this rapidly growing modern county. Who are you people who have moved here and where have you come from? What traditions have you brought with you? What do you think of the original Dixieites who still live here? What do they think of you? You are probably formed into groups by the churches you attend. The church is awash with stories. We talk constantly of missions, of conversions, of God’s interventions in individual lives, of admiration for and sometimes frustrations with church authorities, of acts of sacrifice and kindness performed by charitable church members, of the perils of living along the Santa Clara and Virgin Rivers, of the day-to-day delights and sorrows of church membership. As soon as these stories become patterned and begin functioning in significant ways in the lives of those who tell and listen to them, they become folklore. What other smaller groups, like quilters or golfers, have you formed? What are the occupational groups that have replaced a once-dominant farming and ranching culture? What traditions have you developed within these groups? Over five percent of your population is Hispanic. What are their traditions? I would like to inspire some of you to use your leisure time to answer these questions by talking to your friends and neighbors and tape recording their stories and photographing their customary practices and material lore. The 4th of July is my favorite holiday because of the Bundy Reunion. It is great to get together with my cousins, not only my first but also down to my fourth cousins. The best time of all is when all the activities are done for the day, and the close relatives gather around our campfire to roast marshmallows and tell stories about life on the Arizona “Strip.” These stories help me to better understand my family and myself. To appreciate this humor, we have to think our way out of our nice, comfortable twenty-first century surroundings, back to the days when there were no government or church welfare systems, no insurance; where the people had no one to depend upon but themselves and their neighbors; and where the possibility of starvation through loss of crops lurked always in the shadows. How did they bear up under such circumstances? They laughed so they wouldn’t cry. Through the wonderful gift of humor they were able to mitigate the harshness of their reality and get up each day and rebuild their homes, their farms, and their lives. These people were saved because of caring friends or neighbors who put their own well-being, and sometimes their lives, at risk to save others. This is what ties the early Dixie-ites to you people here today. I have read through some of the stories of the recent flood collected by volunteers and published as Portraits of Loss, Stories of Hope and find them captivating. It makes us appreciate each other and to be aware of those around us. There had to be at one time during the day at least a thousand people who helped out. One of the positive things is the friendships developed. People that haven’t been too friendly in the neighborhood came out and were helping and it was amazing how they became immediate friends. The volunteers from that first day just came out of everywhere. They came first out of the neighborhoods and ward—whether they were LDS or not, people just started coming and asking what they could do to help. That was the amazing thing, the people—they just came out of nowhere. We had teenagers from twelve to twenty that were the backbone—literally—that bore the weight of this. People found out we were making sandwiches and we decided to do it here in our kitchen. Food just started arriving on my doorstep. I don’t even know where most of it came from. Bread—I call it the miracles of the loaves and tuna fish—because it was mostly bread and tuna fish and peanut butter because that’s what people had in their pantry. I was so proud of our community. Over the years I’ve heard talk about the Spirit of Dixie, but I don’t think I’d ever taken the time to try and figure out exactly what it meant. Now I know. The feelings and emotions that Gunlockers have, one for another, seeded in the silt caused by the high waters of the flood, will never be forgotten. Well, we were grateful for all the help we had the night before and for all the wonderful people who came to help us... It was a wonderful experience, in that we found out about humanity. I remember this black truck full of big burly college boys. I said, “Where are you from?” And they said, “We’re from Dixie College and we’re here to help.” It was at that time when we had been working since 8:00 doing whatever we could and we were all exhausted at that point and it was drizzly and it wasn’t all that comfortable and these guys came all fresh and excited and it made all the difference. There was one other circumstance that has always helped the gritty Dixie-ites persevere: faith, well exemplified by the following story about the Hurricane canal. We’ve battled with the mineral, we’ve battled with our foes. Hurrah! Hurrah! The thorns we have cut down. Hurrah! Hurrah! We’re building quite a town. I hope that those who have come marching to Dixie in recent years will prove as tough and resilient and gutsy and faithful as those who preceded them. The response of Dixie’s residents to the recent floods convinces me that they will. I hope also that if in some future generation another folklorist is invited here to lecture on the folklore of Dixie, he or she will find that task made easy by an archive full of stories, songs, beliefs, material objects, and customary practices put there by people like yourselves who have been proud enough of this land to make it their own. 1. Juanita Brooks, “Mariah Huntsman Leavett: Midwife of the Desert Frontier,” in Forms upon the Frontier: Folklife and Folk Arts in the United States, eds. Austin and Alta Fife and Henry Glassie (Logan: Utah State University Press, 1969), 120. 2. A.K. Hafen, Dixie Folklore and Pioneer Memoirs (St. George: privately printed, 1961), 14. 3. Juanita Brooks, Quicksand and Cactus: A Memoir of the Southern Mormon Frontier (Salt Lake City and Chicago: Howe Brothers Publishers, 1982), 141. 4. Collected by Colleen Thorley, 1978, Brigham Young University Folklore Archives [hereafter referred to as BYUFA], No.3.2.3.5.4.2. 5. “Folklore in Dixie,” Library of Congress, Manuscript Division, WPA Federal Writers’ Project Collection, 9. 6. Diary of Charles Lowell Walker, eds. A. Karl Larson and, Katharine Miles Larson (Logan: Utah State University Press, 1980), 1:239. 7. Ibid., 1:240. 8. Ibid, 1:241. 9. “Once I Lived in Cottonwood,” in Ballads and Songs from Utah, col. and ed. Lester A. Hubbard (Salt Lake City: University of Utah Press, 1961), 429-30. 10. Kevin Briggs, Folklore of the St. George Area, 1980, BYUFA, Collection No. 482, 1. 12. 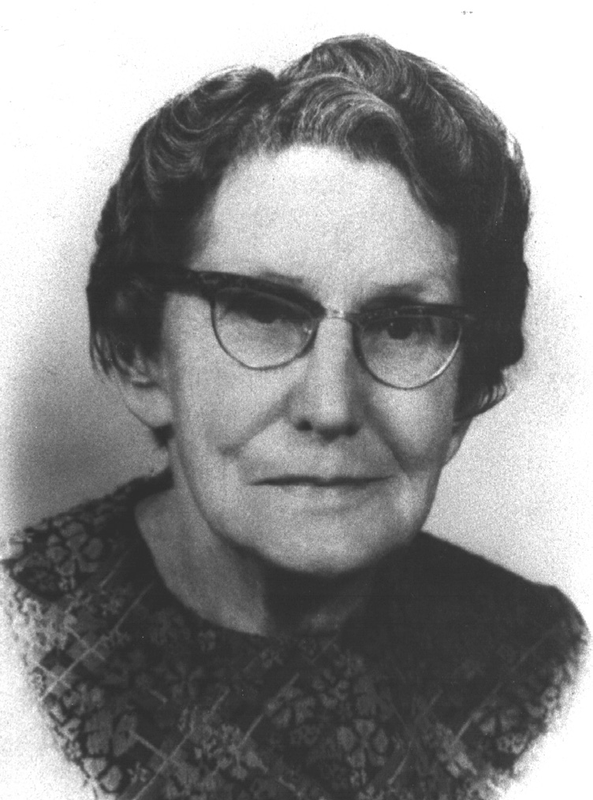 Mabel Jarvis, in Austin and Alta Fife, Saints of Sage and Saddle: Folklore of the Mormons (Bloomington: Indiana University Press, 1956), 78-79. 13. Cited in Walker, 1:423. 14. Eleanor Cannon Woodbury Jarvis, “The Home as Manufactory,” Library of Congress, Manuscript Division, WPA Writers’ Project Collection, 1. 16. Zaidee Walker Miles, “Pioneer Women of Dixie,” Library of Congress Manuscript Division, WPA Writers’ Project Collection, 2. 17. Eleanor Woodbury Jarvis, 4. 18. “Folklore in Dixie,” 4. 19. “Dancing in the Settlements,” St. George Temple Visitors’ Center Web Page, www.stgeorgetemplevisitorscenter.org/tab/Dancing.html, 1. 20. “Folklore in Dixie,” 3. 24. “Folklore in Dixie,” 2. 25. Hafen, 12; “Folklore in Dixie,” 2-3. 26. Three Nephites Collection, in the possession of William A. Wilson, Provo, Utah, No. 1132. 37. Collected by Don Bryner, 1970, BYUFA No. 3.7.4.11.1. 38. 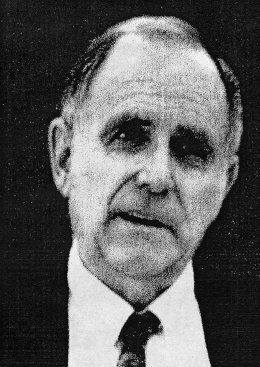 See William A. Wilson, “Folklore in the Giant Joshua,” Proceedings of the Symposia of the Association for Mormon Letters, 1978-79, ed. Steven Sondrup (privately printed), 61. 39. “Folklore in Dixie,” 9. 40. Rowland Rider, “The Roll Away Saloon,” in Sixshooters and Sagebrush: Cowboy Stories of the Southwest, ed. Deirdre Paulsen (Provo: Brigham Young University Press, 1979), 3-4. 41. Collected by William A. Wilson, 15 May 1979, tape in Wilson’s possession in Provo, Utah. 42. Three Nephites Collection, No. 42. 43. Kathleen Parrish, Natural Health and Beauty Remedies, 1999, BYUFA, Collection No. 2115, 19. 45. Marjorie Bundy, Stories Told Around the Campfire at the Bundy Reunion, 1984, BYUFA, Collection No. 15, iii, iv. 46. Slides in the possession of William A. Wilson, Provo, Utah. 47. Brooks, Quicksand and Cactus, 8. 50. See Wilson, "Folklore in The Giant Joshua, 62. 51. Collected by William A. Wilson from Woodruff Thompson, who grew up in Sanpete County, n.d., tape in possession of Wilson in Provo, Utah. 52. “Brief History of Isaac H. Burgess, St. George, Utah, September 16, 1935,” Library of Congress, Manuscript Division, WPA Federal Writers’ Project Collection, 1. 53. These flood narratives will be on file at the Dixie State College Archive. 54. Chris Edwards, Folklore of the Hurricane Canal, 1989, BYUFA, Collection No. 813, 8. 56. George Schoemaker, “On Being Human: The Legacy of William A. Wilson.” Web page: http://people.westminstercollege.edu/faculty/dstanley/folklore/Edited Final Draft/fiullschoemaker.htm, downloaded Feb. 20, 2005.